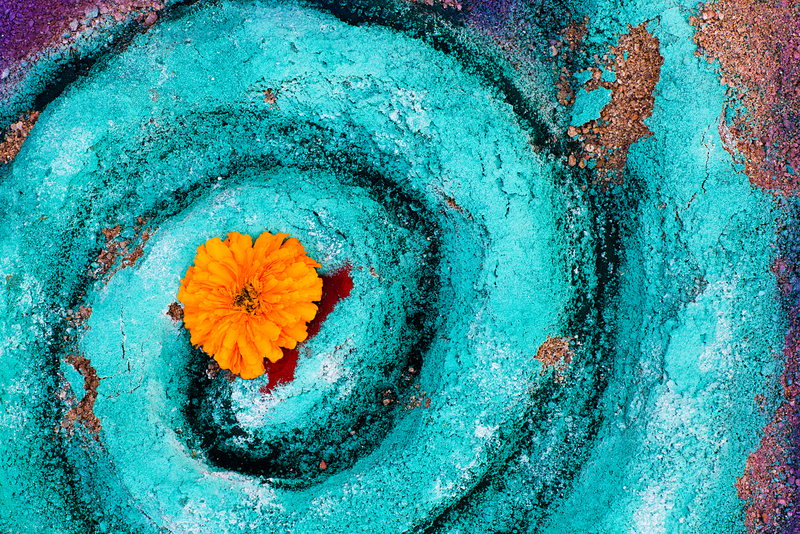 Professional photographer Mark Pollard from Los Angeles and the San Francisco Bay Area has taken photos around the world but had never been to Oaxaca, Mexico before. 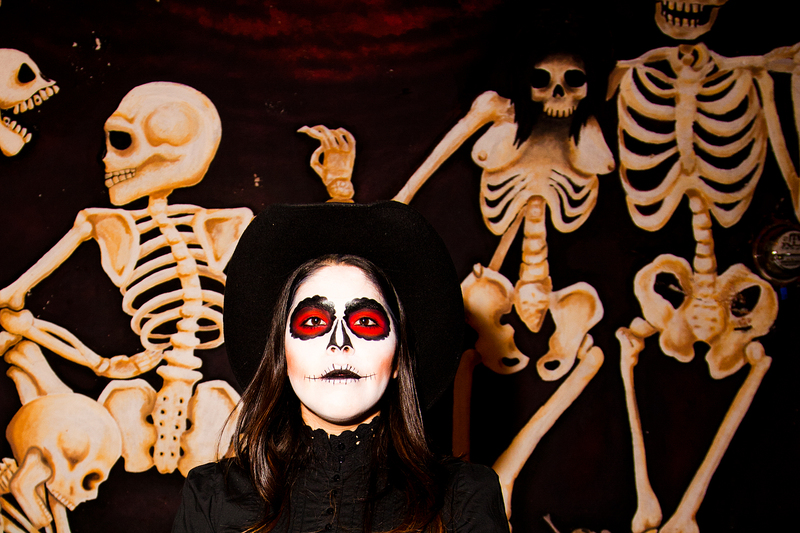 Mark joined us for the 2012 Day of the Dead Photography Expedition because he wanted to work alongside and get portfolio feedback from our workshop leader Bill Bamberger. 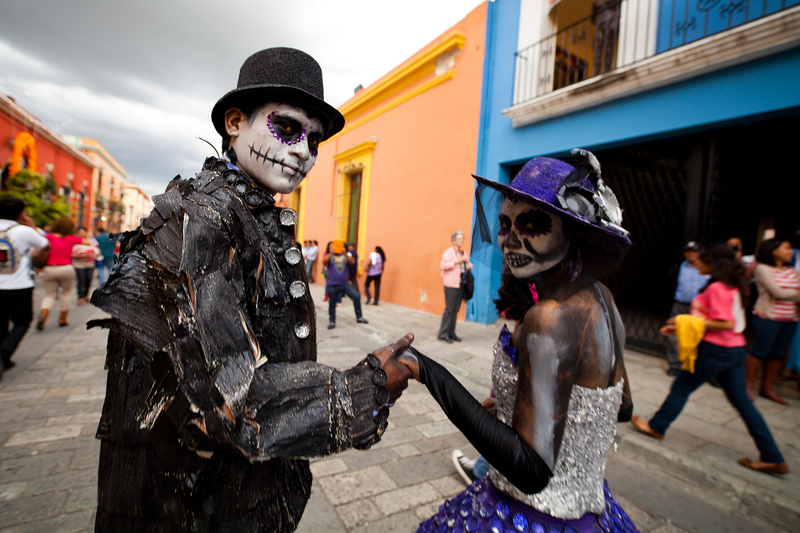 Mark selected ten photos to represent his best of the week. .
Photo 1: (Left) Masquerade Parade along Macedonia Alcala. Photo 2: (Right) Girl with hanging bottles, by Mark Pollard. 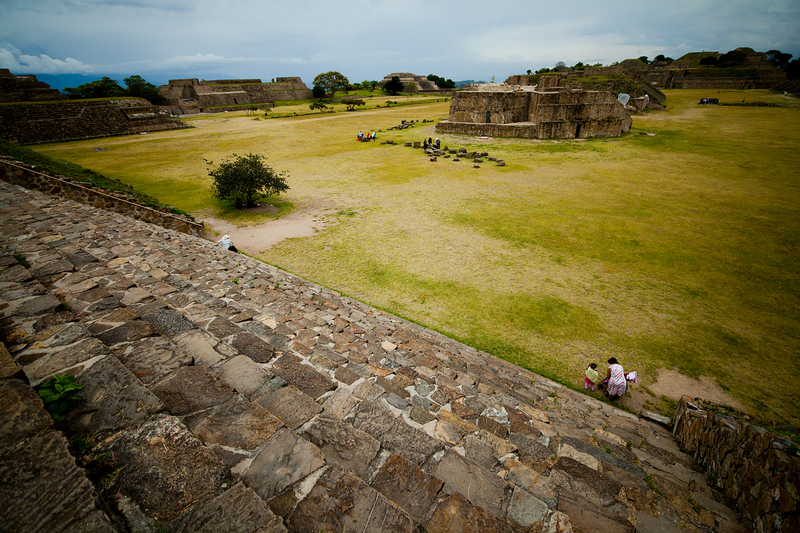 Photo 4: Mark captured this ethereal vision of Monte Alban from a different perspective. We had a chance to see the world through his eyes, too. “It was valuable for me to see images that others [in the workshop] took that differed from my own — seeing through their eyes will help break me out of some of my habits and experiment more,” says Mark. 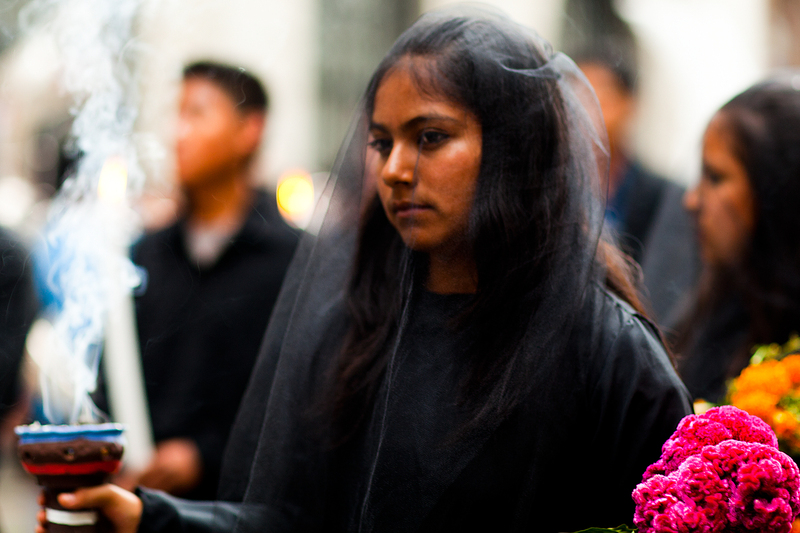 Photo 5: Mark steps right in to get close to his subjects and loved photographing the comparsas on the street. They are a combination of street theatre, mime and parade. Photo 6: (Left). He captured the texture and color of this sand sculpture perfectly, and gave us the beautiful portrait in Photo 7 (right) of Teotitlan del Valle host Luvia Lazo. “I found the planning to be thoughtful and comprehensive. Adjustments were made that reflected the wishes of the group. Bill did an excellent job in providing instruction without overly directing our work,” says Mark. Photo 8: In Mark’s work we saw that there is beauty in simplicity. 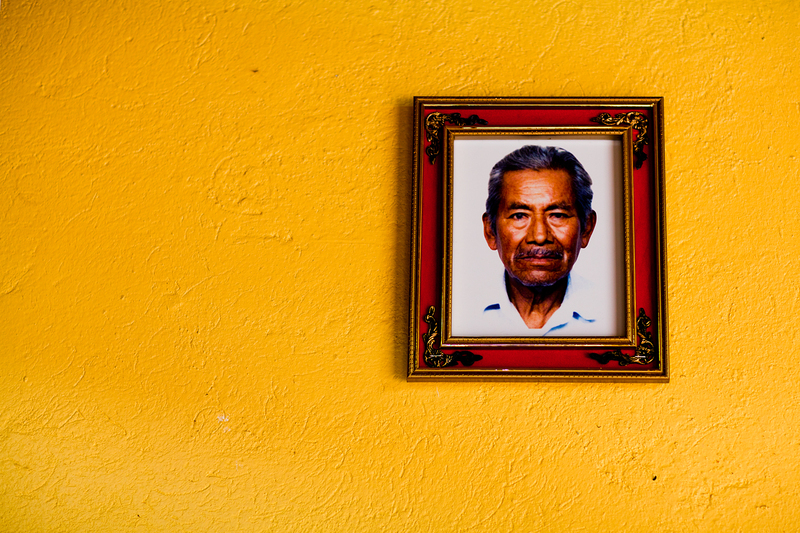 Here he captured a family portrait married with sublime Oaxaca color. Photo 9: In search of another comparsa, Mark ended up in Jalatlaco to find the parade of the skeletons, a wall mural and a street reveler waiting for the parade to begin. 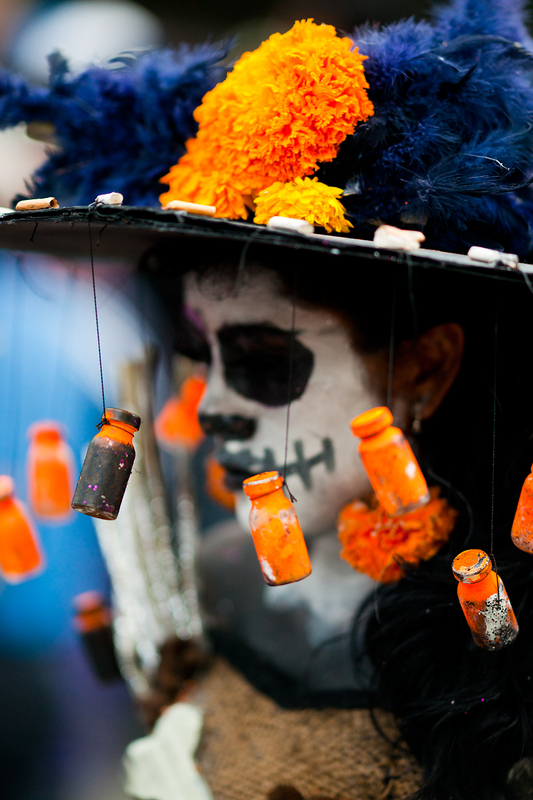 Photo 10: And back on Macedonio Alcala, this parade featured a re-enactment of guiding the spirits back to the underworld lured by the aroma of copal incense and cempasuchitl, and the glorious color of cockscomb. 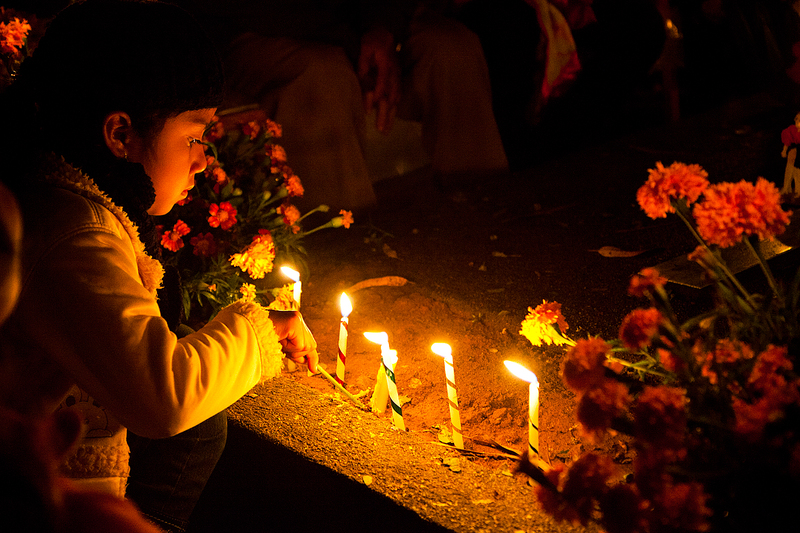 For information about the 2013 Day of the Dead Photography Expedition in Oaxaca, please contact me! 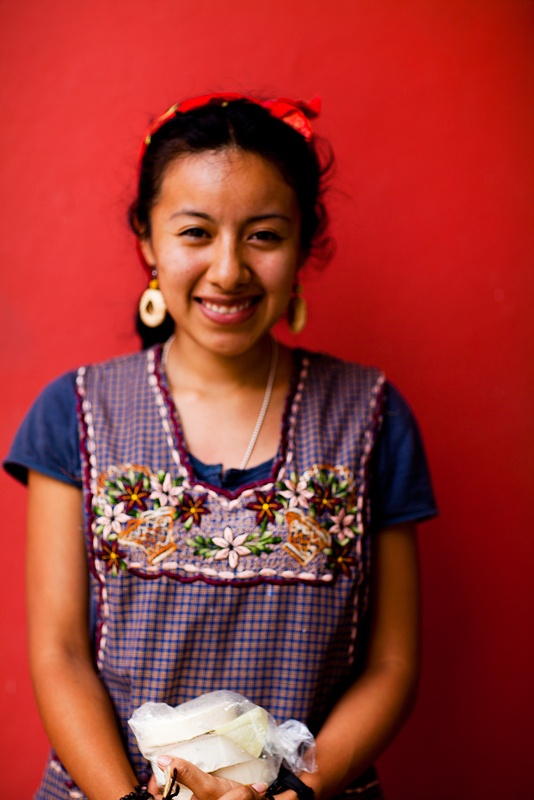 Taking registrations now for Street Photography in Oaxaca starting January 16, 2013. 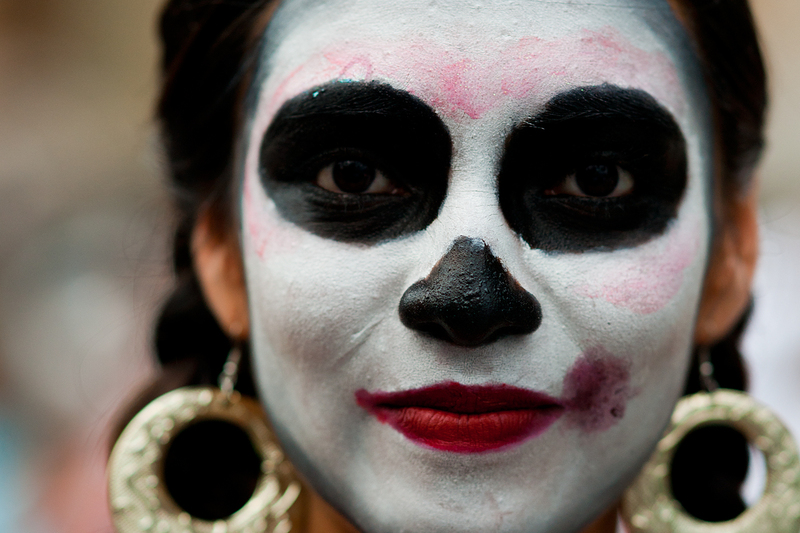 This entry was posted in Cultural Commentary, Photography and tagged blogsherpa, day of the dead, Mexico, Oaxaca, photography. Bookmark the permalink.